Mt. Vernon concert set for community center. 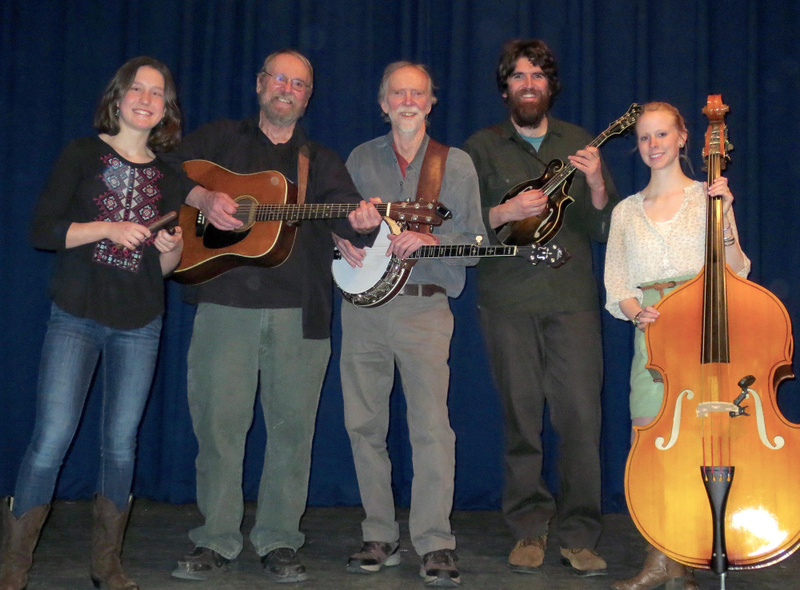 The Sandy River Ramblers will perform at 6:30 p.m. Saturday, July 22, at the Mt. Vernon Community Center, the scene of many previous Rambler concerts. “We think of Mt. Vernon as our home base,” said bandleader Stan Keach, who lives in Rome, about seven miles from the venue, said in a news release. This concert, like all of the band’s shows, will feature many original songs about Maine topics, including “Cry of the Loon,” “Slow Down (You’ll Hit a Moose),” “Trout On the Line” and “Boots From L. L. Bean.” The band features the virtuoso banjo playing of Bud Godsoe, the flashy fiddling of Don LeBlance, the lead and harmony singing of Julie Davenport and 15-year-old phenom Dana Reynolds, and the songwriting of Keach. A couple of surprise guest performers is a possibility. Refreshments will be available for sale at intermission. Donations will be accepted at the door. For more information, call 397-2241.